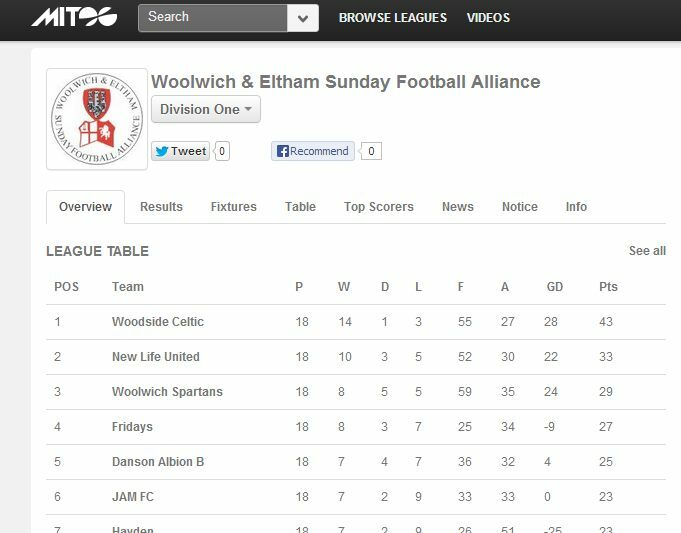 This article will show you how you can add the tables, results and fixtures from your league’s MiTOO.com website into your teamthing website. MiTOO.com is a fantastic free service for football teams in the UK to manage their league results and fixtures. Of course, teamthing.com provides its own league management tools but we throughly recommend using MiTOO.co if you already have your league details with them. 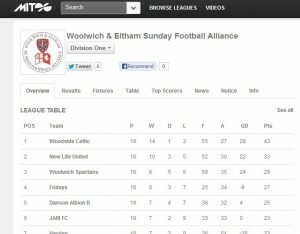 From today, you can show all your Mitoo.com results, league tables and fixtures INSIDE your teamthing.com website. Step 1: Get your division id from your MiTOO league site. Note the ‘DivisionID’ and ‘LeagueCode’ values in the web address e.g. DivisionId=2895 LeagueCode=WFL2012, this is your division id and league code. Add a title for this widget e.g. ‘Upcoming Fixtures’. Open a new browser window and navigate to your website to view how the new widget looks. N.B. you can change the width of your generated table by changing the ‘width’ part of the shortcode. Paste in the shortcode that you created above into the editor.